Payback is a serious hurtin’. Chrysler paid back over $7B in loans to the U.S. government yesterday. Did they just have than money laying around? That s lot of Benjamins. Did they just borrow if from a sheik? No they earned it. Blocking and tackling my friends. Rekindling old loyalties me droogies. Fixing the product, getting the right new people in place and fixing the message. When Daimler moved into the Chrysler brand, they tried to do all these things but couldn’t. Fiat and the U.S. marketing stewards did. And now they have da monies. Good blocking and tackling. Just like Ford did. I knew the Fiat move would be a good one…meep meep. The company is known for stylish small cars, just what the economy ordered. 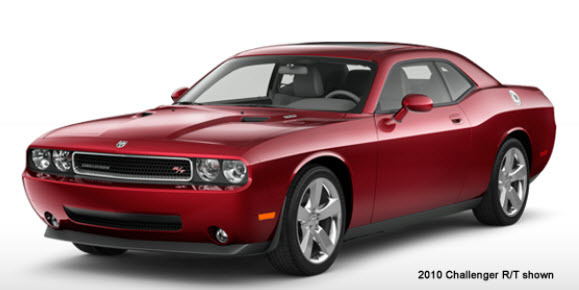 But Chrysler is also making a move with Dodge, which is a bit more of a surprise. Hemis and un-mommy mini vans and a return of the muscle car for real motor heads (Can you say Challenger?). This is Dodge’s sweet spot. Marketers are not talking about Chrysler in terms of cools social programs a la Ford, they are watching the rebirth of a company through focus on the 4Ps. Roots baby. Eminem baby. Where’s Kid Rock? GM is blocking, but I’m not so sure they’re tackling. The foreign value brands are pretty much growing a bit over the pace of the market. Ford may want to look over its shoulder — is it losing its hunger? Is it placating the dealers once again? Come on Chrysler. It’s pay back time! Peddle down. Peace. Previous articleMoney to be learned @ TechCrunch Disrupt. Next articleTrust. Search. And Ashton Kutcher.